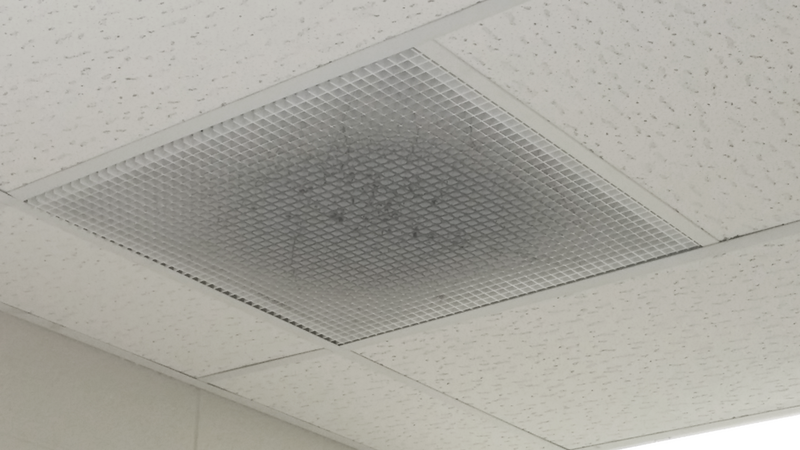 Do the overhead vents in your office building look like this? If so, your office air ducts need cleaning. Not sure, have us come for an inspection. Unfortunately it is often an afterthought to have the ductwork cleaned inside office buildings. Studies have shown that poor air quality in offices, apartment buildings, and other public buildings (sometimes referred to as “sick building syndrome”) has been linked to lower work productivity, absenteeism, low tenancy, OSHA compliance penalties and Worker’s Compensation claims. Health risks aside, clogged or dirty ductwork can result in under-performance of your heating and air conditioning systems as well, and can lead to higher energy bills, higher maintenance costs, and potential breakdowns. In short, it can get expensive. Call Healthy Living Air Duct Cleaning today to have the ductwork cleaned in your building.